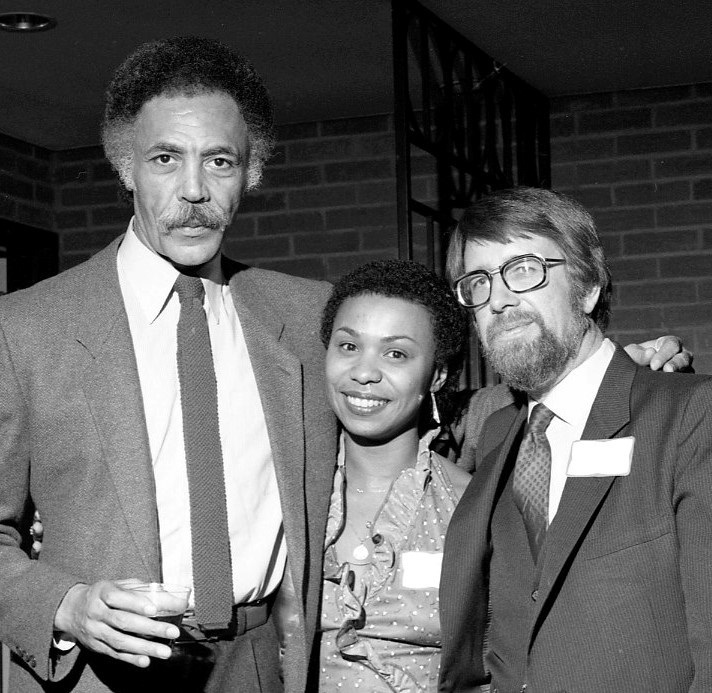 Rep. Barbara Lee spent her birthday with her former boss, the late Ronald V. Dellums, just two weeks before the fellow California Democrat died in July. Their relationship dates back to 1974, when she interned with him during the hectic Watergate summer. After earning her master’s degree in social work and starting a mental health center, she answered his call to come back to D.C.
Q: What did you do as a staffer? A: I really wasn’t sure that I wanted to leave the mental health center, which I founded, and move to Washington to work for Ron as his — I think they called it the administrative assistant or chief of staff. I decided, based on advice from family and friends, that because of my really caring about policy and systemic and structural issues that affect people, affect people’s mental health and keep their lives from being what they should be, this would be a great opportunity to help shape public policy. And so I accepted the position. When I came to Washington, D.C., I was one of the top African-American senior staffers. There were very few women and African Americans on the Hill then, especially in top staff positions. I managed the office, and I helped develop the legislative agenda. As a staffer, I was able to learn through Ron … how you build coalitions in Congress and how, while you may not agree with every issue or every perspective, there’s a way to … find common ground to champion issues that people care about. It was so important to him to communicate even with people he disagreed with, and so I had to work in that capacity with staff across the aisle. Q: Because it was rare to be a woman and an African-American in a top position, did you feel you had to work even harder? A: Yes, I had to prove myself because of who I was and what I looked like. I can remember going into a meeting at the Department of Transportation to represent Ron. The secretary of Transportation then was Brock Adams. I’ll never forget this. I went into the secretary’s office. Everyone around the table, they were white men except for me. They sat me away from where all the staff were sitting and … they refused to acknowledge me, refused to answer my question, refused to call on me until I finally had to say something. I can remember representing Ron in many venues, in many meetings, where it was like a shock to them and they didn’t know how to deal with me. Ron always reminded me that I was as smart if not smarter than them. I was strategic. Because of my background, I had experience in bringing people together and cutting through a lot of the noise to find the solutions. Q: What was your relationship like with Dellums until his recent death? A: The last four weeks of his life, every week I went to visit him. On my birthday, which is July 16, I decided, instead of going out with friends on the Hill, to go visit him. We actually had my birthday party in his room, and he was so happy that I was there. He actually drank a little Champagne. He toasted me. Q: Does your time as a staffer affect how you treat your own staff? A: As a former staffer … you hit the ground running when you get to D.C. You kind of know where everything is. A lot has changed, but you have a sense of the process. I remember [as a new congresswoman] one member told me, “You just got here. Stop moving so fast. You’ve got to wait your turn.” And I said, “OK, I’ll work my way up.” But because I had the experience on the Hill and then as a state legislator, I wanted things to happen right now.